Frozen treats: Here's a long but useful look at how eBay is trying to take on Amazon. It's a meaty piece that encompasses PayPal, Square, big-box stores, mobile payment technology and more. None of that icy reserve: Check out this tally of the top 10 most active British members of Parliament on Twitter. You're as cold as ice: Bad PR exploded on social media last week. ICYMI, the PR director for IAC (parent company of Vimeo, Match.com, OkCupid and more) sent out a bigoted tweet right before a flight to South Africa. The company distanced itself from her while she was in flight, Twitter went ballistic, and her landing was live-tweeted. (She apparently said she didn't think she'd "get caught." Must not read the blog.) Needless to say, she and the company have "parted ways." But wait, there's more: She issued her own apology, which doesn't appear to be a good demonstration of PR skills. You can't make these up. Ice cold at the summit: Mashable shares one assessment of the top brands on social media for 2013. At the top is Samsung, which doesn't have the most overall followers on any given network, but a huge surge in follower growth. And take a look at Disney's results, fueled by followers on Chinese social networks. Inside the icicle: Here's a must-read that looks at Twitter's process of continual redesign. There's a method to what you perceive as madness, and it points to areas that should be on your radar screen, too. 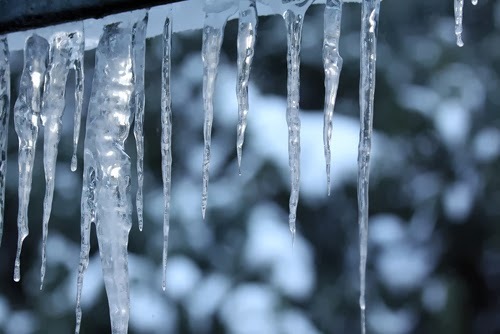 Falling icicles: U.S. mobile Internet traffic surged this year: Americans alone consumed 1.2 gigabytes a month over cellular networks in 2013. This report has some international data, too. Frozen out: Teens in the UK say Facebook is dead to them, says a European Union-funded study. That matches the US teen feeling.